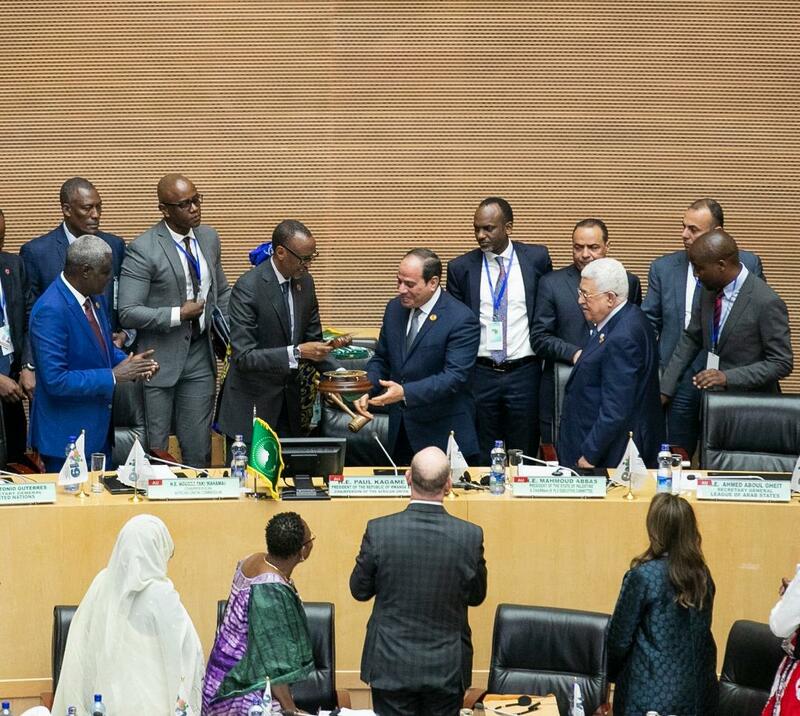 President Paul Kagame on Sunday, February 10, officially handed over the African Union Chairmanship to President Abdul Fattah Al-Sisi of Egypt during the opening ceremony of the 32nd Ordinary Session of Assembly of the African Union. At a colourful ceremony held in Ethiopia’s capital Addis Ababa, Kagame paid tribute to fellow Heads of State and Government for unmatched support lendered to him during his year-long tenure. “Excellencies, I would like to take this moment to record my debt of gratitude to you for entrusting me with the privilege of leading our organisation during this eventful year in service to you and the people of Africa,” Kagame said during his last address as the AU Chairman. During his tenure, Kagame presided over several landmark achievements that will leave a mark in the history of the continent. Notably, Kagame’s tenure involved historic signing of the Africa Continental Free Trade Area (AfCFTA) in in March last year in Rwanda’s capital Kigali, among others. More than 50 member states have signed the CFTA – the latest being Guinea-Bissau. “We commend Guinea-Bissau for signing the instrument during this Summit, also Botswana and Zambia, and encourage those signatories who have not yet ratified to do so at the earliest opportunity,” Kagame said. The official launch of CFTA is expected to be in July this year – where the continent’s single market of 1.2 billion people will finally come into effect. 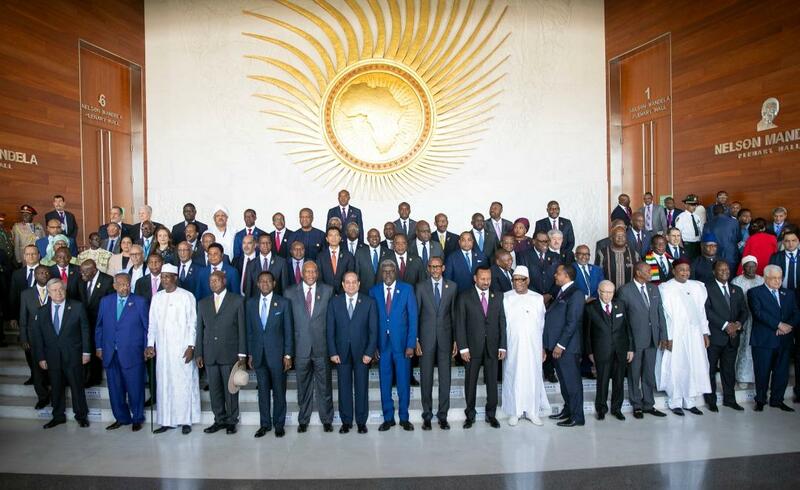 Kagame told Heads of State and Government present that the objective of several initiatives was to continue building a stronger and more capable African Union, that is able to deliver on the pillars of Agenda 2063, and better represent Africa’s interests on the global stage. Kagame highlighted several other steps achieved during his tenure – including the launch of a Peace Fund as well as striking partnerships with other regions. “Last year, we strengthened our partnerships with other regions both in substance and tone, and that trend will continue. The relaunched Peace Fund now stands at 89 million dollars with 50 Member States contributing,” Kagame said. “This demonstrates the force of our collective resolve and ability. We will continue to work with the United Nations towards a sustainable mechanism for funding African-led peace support operations,” he added. Kagame also mentioned other achievements made that still need further follow-up by his successor. Speaking of the 32nd Ordinary Summit, Kagame said, “The agenda for this Summit reflects the capacity of our Union to address an increasingly complex range of challenges and priorities. This is only the first step of what must be a consistent and comprehensive effort by AU and all Member States, to prepare for the new technologies that are remaking the entire global economy especially artificial intelligence, machine learning, and data mining. We should not fear these changes, or attempt to delay them. That would be futile and counter-productive. They are the engines of productivity and prosperity for our youth,” he added. Kagame reminded fellow leaders that the current global context requires the continent to increase domestic funding for the health programmes that have made such a tremendous difference in the lives of its people over the past two decades. 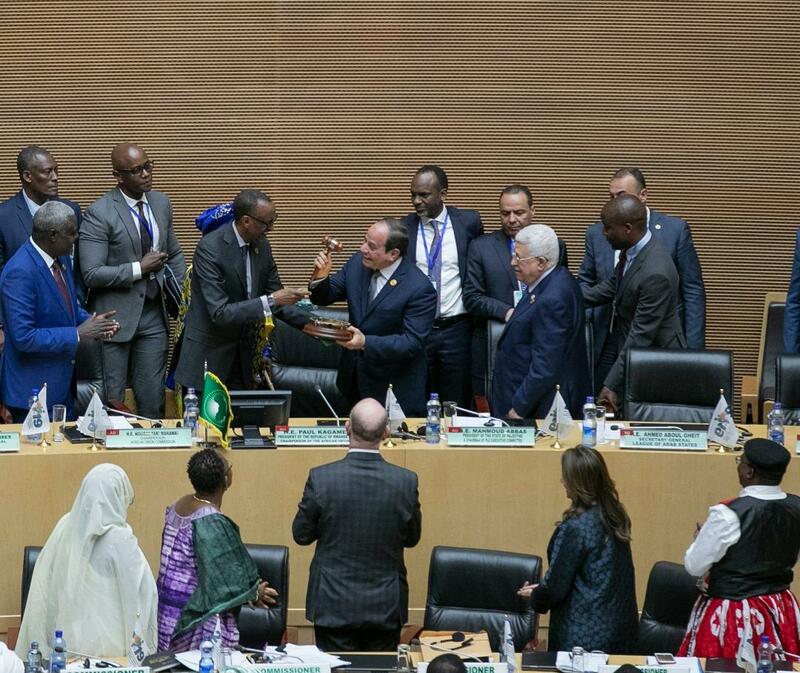 The President called on the continent to work hard and achieve its place on the global arena. However, according to Kagame, “in order to secure our place, we must face the world as a unified bloc, and work closely with other regional organisations and the private sector, to ensure that the rights and interests of Africans are guaranteed. 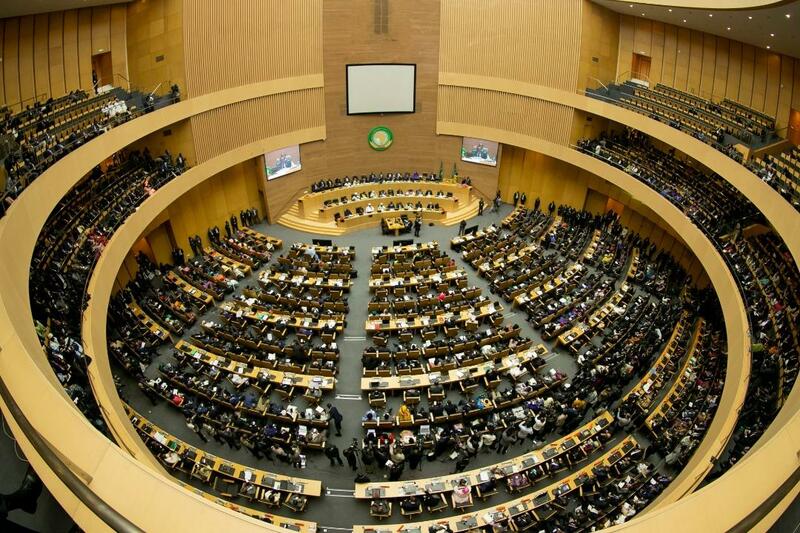 “This urgent task is yet another reason why it was necessary to strengthen the African Union’s capabilities. To fulfil our political objectives, we require an organisation that is agile, healthy, and effective,”he added. Kagame expressed confidence in his successor – saying he will undoubtedly execute his duties under the support from fellow leaders.